by Mary Cosmo, Esquire.In Environmental, Fraking, The Clean Water Act. Almost exactly nine months ago on May 22, 2012, I wrote an editorial in the Fort Collins Coloradoan newspaper, Fort Colllins Should Ban Fracking. 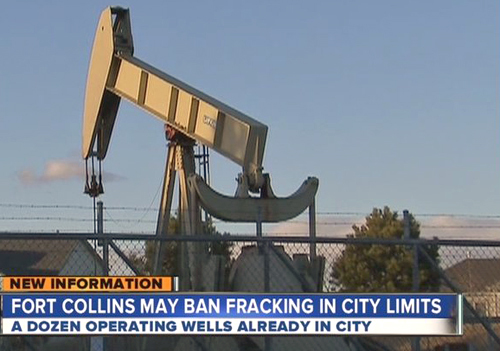 And yesterday, on Feb. 19, a sharply divided Fort Collins City Council voted 5-2 to ban fracking in the City of Fort Collins. Nine months ago the conversation around fracking was relatively new in Colorado and few people and environmental groups were directly addressing it. Now, nine months later, very much has changed-fracking is in the news constantly, many environmental groups are engaged in the fight to stop fracking and the issue is escalating wildly throughout the public across the state. Second, a few activists-in part let by retired U.S. Environment Protection Agency “whistleblower” and Gasland movie star Wes Wilson-started touring the state giving dozens and dozens of presentations to local government officials, local homeowners groups and local activists about the threat of fracking. These activists spent hundreds of hours (and miles) pressing the case that fracking is a serious concern, and left unregulated, fracking could turn many suburban communities into mirrors of Weld County, Colorado (in the northern part of the state) which has more active oil and gas wells (more than 18,000) than any county in the U.S. With those wells has come health problems, air quality problems, water pollution problems, water supply problems, social problems, real estate problems and financial problems. No surprise, but this exploitative extractive industry tends to take the oil and gas-as well as all of the money-and leaves local governments and people with pollution and financial trouble in its wake. Read the full article here. via Fort Collins Bans Fracking as Democracy Comes Alive in Colorado. Previous Previous post: 5 Year old threatened with 2 week suspension for playing with legos…..Yes, it’s only a lego. Next Next post: Happy Birthday to the State of Florida!